A couple of local quizzes took place over the weekend. The Club's own quiz on Friday evening held in the clubhouse was won by Ben Sheppard and his team consisting of Martin Rayner, Craig Heiden and Ben Bhabra. Many thanks to Neil Francis for compiling the quiz, Micky Aplin for acting as quizmaster (in his own inimitable way) and Stuart Carlisle for sorting out the refreshments. 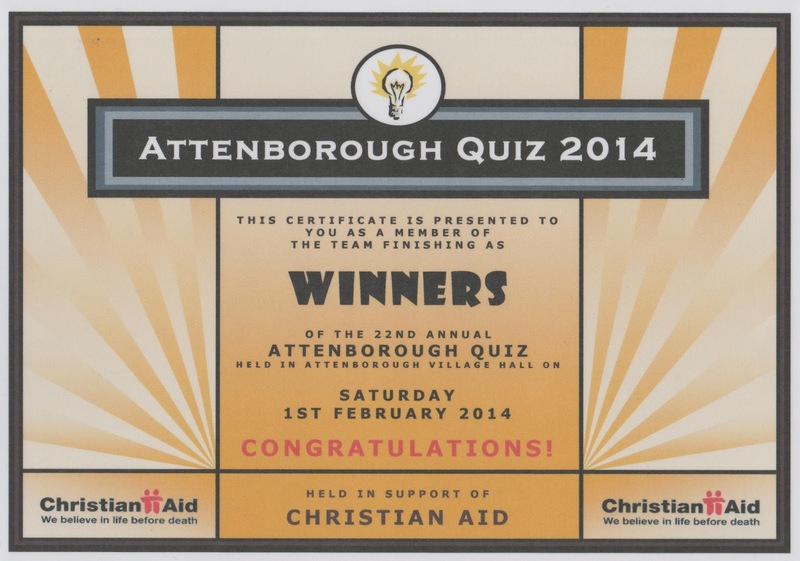 The second quiz was the 22nd annual event held in the Village Hall for Christian Aid. Bragging rights over other village clubs and residents went to Attenborough Cricket Club's team of Martin Firbank, Geoff Gooch, Neil Francis and Graham Shaw.